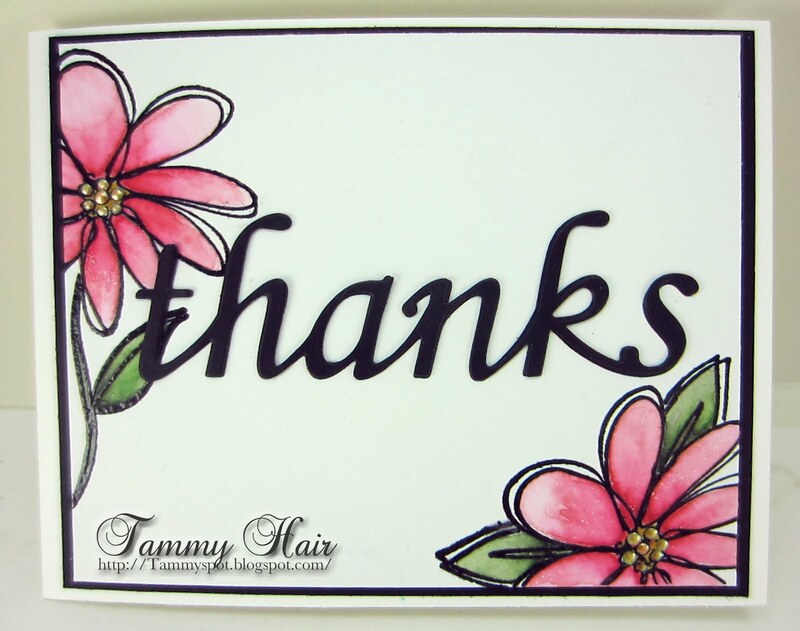 Tammy's Spot: Happy New Year and Thanks! Happy, happy New Year! Wishing you a wonderful, healthy and prosperous 2016 to you and yours and a very special thank you for hanging out with me during 2015! I'm still enjoying a blogging break and hopefully whoever stole my mojo will return it to me soon! this is beautiful. happy new year, Tammy! My mojo took a holiday vacation, too, Tammy, and I'm struggling with the DT stuff. Add to that my laptop crashed yesterday so I'm trying to set up on the desktop. Sheesh! Pretty card today! Looks full of mojo to me. Happy new year! Wow! What a gorgeous creation Tammy!! :) Love the design! Wishing you many blessings in 2016 my friend! GORGEOUS, Tammy!! What a beautiful thank you design!! This doesn't look like you've lost your mojo! It's just having a rest after helping Santa! Wishing you all you wish for & more in 2016! Love the bold script and pretty flowers - the layout is great too! Your cards are always such a delight. Many hugz!! !